Once you've done your boots-on-the-ground work and leads are (ideally) filling your system, your voicemail and your time, you'll need to consider how to best manage these leads to make sure you are properly following up with each in a way that will serve them and nurture them through their buying journey. This effort traces back to the goals your agents are setting for themselves and that you are setting for them. Give your team clear expectations for deliverables and they will have a better idea of how to prioritize their leads and keep multiple balls in the air at once. In order to optimize and maximize how much business your agents bring in, you'll need to give their ambition some direction. Drawing clear parameters will also help you provide your agents with better service. Consider, first, setting a minimum for monthly sales, to make your expectation for results clear. You can then check in with each agent in your weekly one-on-ones to find out how they're tracking toward this goal, allowing you to give direct advice on how and when to increase their sales activities. Creating this level of accountability and direction might sound harsh when compared with business-as-usual, but the truth is, both you and your agents are investing in each other. A shared perspective will hold you both accountable for each others' successes. If your expectation is that your agents sell two homes a month and you know your close rate is 10 percent, then as a team lead, you know your agents need to have 20-30 leads coming in a month to maintain the necessary volume needed to close two homes a month. You and your team should also aim to maintain a mix of leads by incubation period. A mix of long- and short-term leads will help you establish safe padding for future months to come. 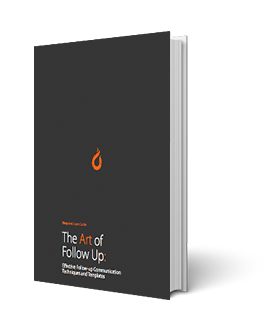 Your next step to providing better lead management for your team is to enable a greater lead follow-up plan. There are a few key components to success, here. To begin with, your team will need the right tools to better configure, organize and connect with leads. Real estate CRMs are one of the best ways you can provide these tools for your agents. They'll be able to organize their follow up by lead source and recent activity, all within a daily task list with notes included. Your agents will be better able to juggle more leads and better able to follow up with them to drive stronger sales activities and close more deals. When you're lead routing to your team, you should also seriously consider your agents' strengths. If one of them is better in rural areas and lives close enough to a lead to go out and show homes, then you should route leads in that area to that agent. Playing to strength is generally a good rule of thumb, but when it comes to newer agents, you should consider their overall training and capabilities when you send them leads to work. Greener agents should work the more difficult leads to follow up with (the leads that have come in through PPC or Facebook instead of the people raising their hand asking a question). If you start agents out on the easier leads, they won't have the experience dealing with the more difficult leads — which will hurt them in the long run. Once you have your team goals and your necessary tools for better real estate lead follow up, you'll want to consider the best strategy to follow in order to provide your leads with exceptional customer service. As much as automating certain parts of follow up is valuable, real estate is still a service industry — which requires personal touches. You can't just set up a lead on a drip campaign and wait six months expecting to sell that person a home. They need to be on the right program, and your agents need to interact with your leads on a regular cadence. Educate your team on how to gauge where a lead is at in their buying journey, how to best meet them there, and how to put them in the right follow-up program. Real estate agents will be quick to shorten the program in order to push the sale, but that usually isn't realistic. Go over the indicators for where a lead could be in their journey, and encourage your agents to be more in tuned with where their leads are at. They'll be able to provide better service and will be a better agent for it. Why Choose a Real Estate IDX CRM Solution?